When looking for some ochre fabric on Wednesday, I found this strange fabric in a tiny sewing shop in a village in East Lothian. Nessie is on holiday! She can swim out of Loch Ness into the open sea through the undersea tunnels. 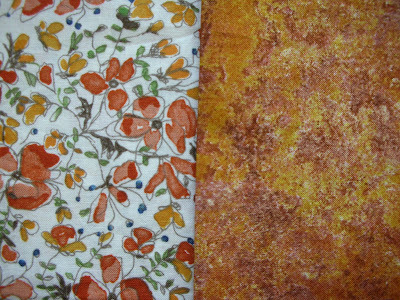 I had to buy some ochre fabrics. My ochre stash was non-existent (or at least that's what I thought). 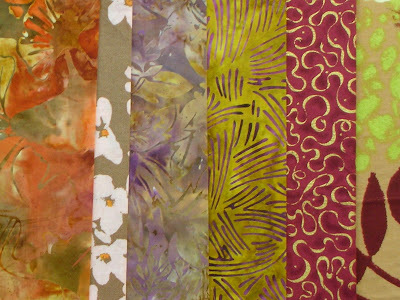 These purple batiks and dull reds seem to go together with ochre (and look very nice on their own too). I made some wedges from the made fabric. And put them together with Nessie. What did I think of this colour at the start? I don’t think I’ve ever made a patchwork or textile piece with ochre as a main or even secondary colour. I like yellow in daffodils, the sun and baby chickens but not in fabric. From seeing other posts it seems I am in a very small minority here. I thought I had very little ochre fabric, and actually bought a couple of fat quarters for this project. 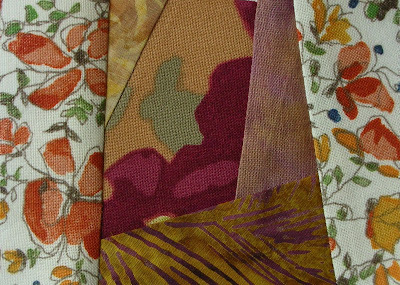 I did discover some ochre in my stash, most of which had sneaked in as part of a fabric bundle, and some ochre in patterned fabric. 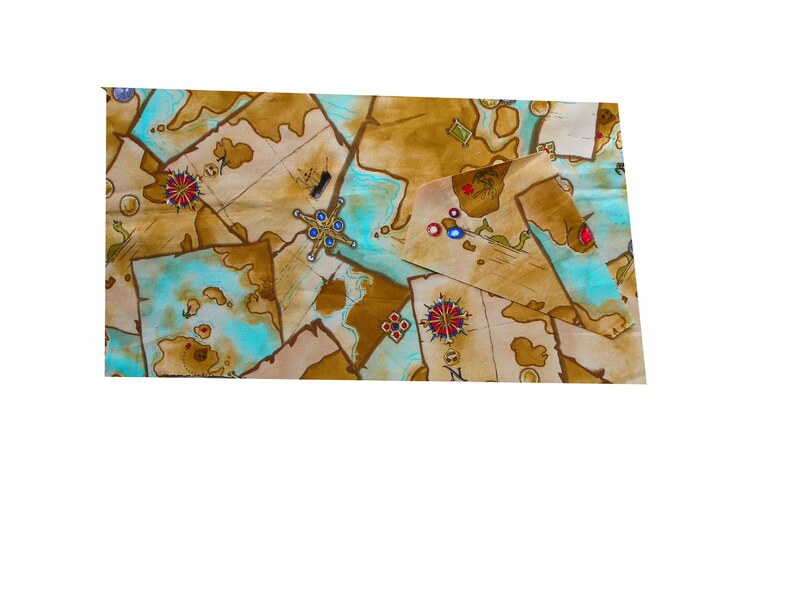 What fabrics go with this colour? Purples and dull orange/brown seemed the obvious choices but I discovered that burgundy and some off greens were also quite possible. What fabrics don’t go with this colour? I’ve got a strong aversion to bright red and yellow together. I also don’t like grass green with yellow, it reminds me of a kitchen in a relative’s house decorated in these same colours for twenty years. Do I like this colour better or less after working with it? Yes. Better, although I’m still not ecstatic about it. Will it inspire a new palette? I found some very interesting combinations of colours appearing – maroon and sludgy green, and ochre with white and a subdued red, and I found new colour combinations with existing fabrics. Working with this new palette was very absorbing. 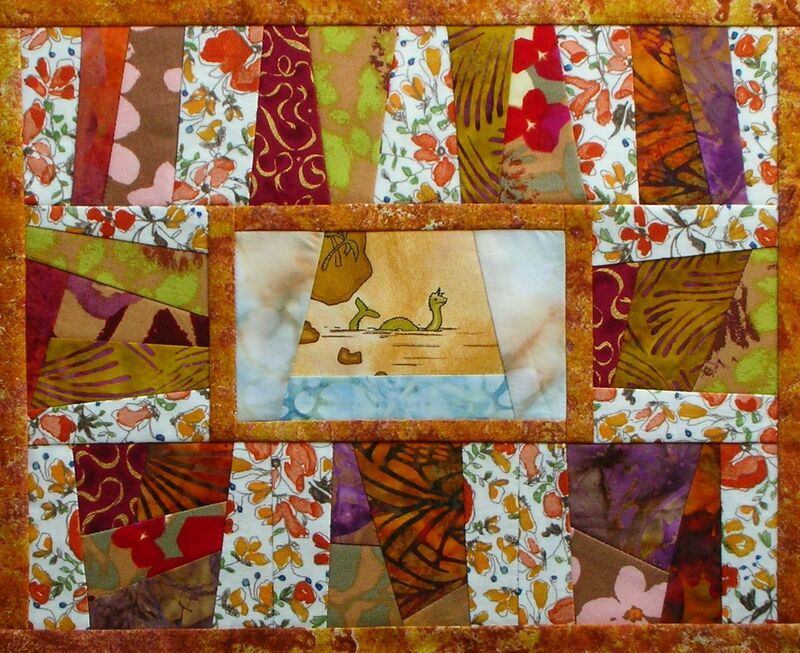 I love my Nessie miniquilt. It would never have been made if I hadn't been persuaded to use Ochre. What a great idea. Making a mini quilt with the colors. Some people are so creative. So fresh and delightful!!! How lucky you are to have Nessie in your world!! You remind me to stay open to new possibilities!! Of course you would find Nessie fabric up there in scotland!! Love it! Who will get to keep Nessie? Love hearing your process!! Nessie never looked better. You have the most wonderful fabric collection. 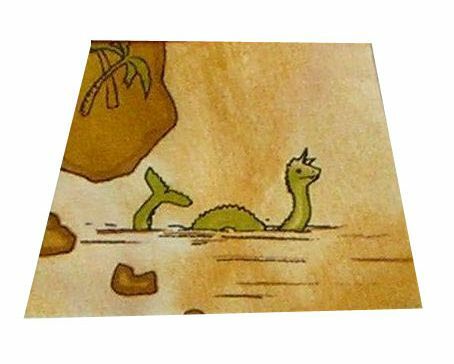 I really like the way you created a frame for Nessie using these colors. I really enjoy reading about your process with this challenge. That's hysterical! I love Nessie! 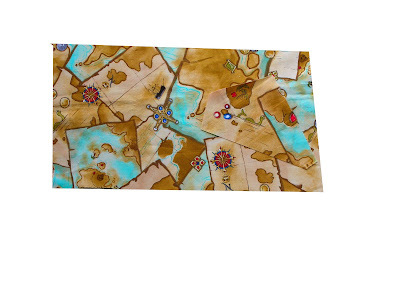 I think you did really well with that ochre color and your choice to make made fabric with all the fabrics was a good choice. I still wouldn't set out to create anything with ochre as the main color. I am really loving your new fabrics and your Nessie,too, of course. What a happy monster quilt! How creative - absolutely wonderful!!! I love reading your colour report/questionaire. We should all do that for new projects. thank you for giving me the questions to ask myself for future projects. Also, your quilt is wonderful!